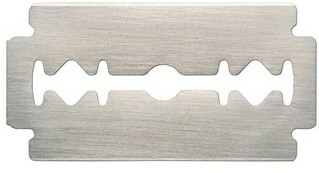 ﻿ 6Cr14(6Cr13) - Stainless Steel Plate - Ahonest Changjiang Stainless Steel Co., Ltd.
6Cr14 which has been applied to high quality knives and scissors is a kind of excellent martensitic stainless steel, after heat treatment, 6Cr14 has reasonable internal structure , and it is very appropriate to be used to produce razor blades, electric hair clippers and scalpels. Our stainless steel, after electric furnace smelting and LF furnace refining, will become more pure and uniform. 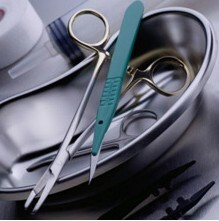 6Cr14 is the material to be used to produce top grade razor blades, clipper blades and surgical knives and scissors. As 6Cr14’s carbon content is high, its hardness can reach HRC60 after quenching, The Cr in 6Cr14 is relatively high, and this can make the steel’s hardenability and wearing resistance be improved, in addition, it will also improve corrosion resistance and antioxidation of the steel. 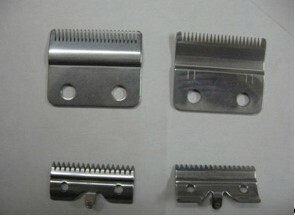 Compared with ordinary martensitic stainless steel(3Cr13, 4Cr13)which have been used to produce razor blades, clipper blades and surgical knives and scissors, 6Cr14 has been greatly improved in quenched hardness and wearing resistance, thus, the razor blades and clipper blades which have been produced by 6Cr14 can be used for a longer time. Delivery form：Delivery in the form of coil stock or straight plate，supply in cold-rolled or annealed condition.